Although alcohol is widely known to be an addictive and dangerous drug, it continues to be widely abused around the world. Despite its addictive nature, alcoholism is treatable. Utilizing our alcohol rehab programmes and treatment models, help, and hope, are available. Substance use disorder is the medical terminology for alcoholism, although it is a broad term that encompasses all types of substances that can be addictive. One of the significant factors involved in the diagnosis of substance use disorder or alcoholism is if the drinking is interfering with basic aspects of life, like being a family member, going to work, or even essential, showering and self-care. Another factor is increased consumption or use even when the person does not want to drink anymore. The person with the addiction will eventually require more and more of the substance to get the same feeling, which is called tolerance. It is important to seek help before it is too late. Our alcohol rehab programmes will address the problems that are the basis of your addiction. Alcoholism can cause damage to the mind and body. A person with a drinking problem is at a much-increased risk of liver disease, cardiovascular problems, as well as brain damage. Mentally, if you drink too much, you will be at higher risk for depression, explosive outbursts, impulse control, and suicidal thoughts. This shows why it’s important to seek help for an addiction sooner rather than later. We at DetoxPlus offer a wide selection of alcohol rehab facilities throughout the UK and are here to support and help you overcome your addiction to drugs or alcohol. With our treatment facilities and continuum of care, we are able to provide fast, individualised substance abuse intervention. We cover treatment from detox, to primary alcohol rehab treatment, to aftercare, and most importantly, with all of our facilities, we can get you admitted almost immediately. So, after you make that first contact with our trained staff, we will be working to get you into alcohol rehab treatment within the next 24 hours. Aside from the immediacy of treatment, DetoxPlus offer a full service, to help you get to the right level of the alcohol rehab programme that you need. So, for example, if you are still under the influence of drugs or alcohol, we will encourage detox to start with, until the substances are out of your system, and then move you into the next level of care, likely primary alcohol rehab. Detox is available as a single service, but we strongly encourage people that come to detox to seek ongoing rehab treatment for their drug or alcohol problem. Primary alcohol rehab is the main treatment initially used for substance abuse and alcoholism. Our clinics provide primary rehab and detox for our clients. They offer inpatient or residential treatment, meaning that you will be living, eating and sleeping there. Treatment will take place during the normal working day, with some additional programmes taking place in the evening. At our alcohol rehab clinics, the focus is on individual treatment, not a model where everyone gets the same thing. They spend time getting to know you, your strengths, your obstacles, your history, what works and what doesn’t. 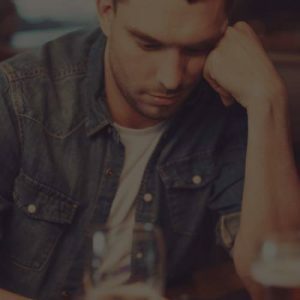 Alcoholism affects people in different ways, and we need to know how it impacts you in order to best help you overcome this illness. Alcohol rehab focuses on the social, emotional, and psychological well-being and healing for those in recovery. The rehab therapies include cognitive behavioural treatment, focusing on the thoughts and assumptions that people have, and how they can be irrational and harmful. Thinking is the first step in recovery. Alcohol is often used as a means to an end, a way to cope with mental health issues or other problems. Alcohol rehab treatment will help identify what the problem was, and help you find new ways to defeat it. Other treatments our alcohol rehab clinics provide are methods of treatment aimed at helping you overcome your addiction. Alcoholism is very individual, and the reasons people start drinking are just as individual, so it stands to reason that treatment must be individual as well. There is education on the nature of alcoholism and substance abuse, group therapy, and other talk therapies aimed at your particular needs. 12-step model support groups are available, like alcoholics anonymous. They also provide alternative treatments and means to cope with stress, like yoga, massage, arts and crafts and meditation and mindfulness techniques. What About After I Leave Alcohol Rehab? The alcohol rehab programme will also provide options beyond primary treatment. The fight against alcoholism does not end after your time in treatment is over. Substance abuse is a lifelong condition and can require ongoing support after treatment as well. The benefit of our alcohol rehab clinics is that they offer aftercare programmes to help you continue your sobriety after you leave the rehab treatment facility. Both individual and group therapy can be offered and is often recommended to help cement the skills learned and to help you apply them in real life when you are no longer in residential rehab treatment. The length of time you will need to stay in alcohol rehab depends on different factors and the severity of your condition. At our initial assessment, we will discuss this with you. Our treatment clinics are available to you almost immediately, and our professional staff at DetoxPlus are here 24 hrs a day to help you. Alcohol rehab programmes usually run from 4 to 12 weeks to give you all the tools you need to overcome your disease. Alcoholism did not happen overnight, taking 4 to 12 weeks is a small amount of time to give to learn sobriety. The alcohol rehab clinics available to you provide everything you need to help you in sober living. They offer single occupancy rooms, or shared occupancy rooms, based on needs and availability. You can also find exercise in our gyms and find peace in our locations on the beach or in the countryside. And that is the key; we help you find peace with this illness. Alcoholism is a terrible disease that infiltrates your life until eventually, it has taken your life over. It may have started as a means to cope with depression, or just how hard life is until eventually drinking was a problem all on its own that you couldn’t control any longer. It does not have to be that way anymore. Our alcohol rehab treatment clinics work with you, first to understand who you are, and then to come up with a highly tailored treatment plan to suit your strengths and needs. With a variety of alcohol rehab programmes to help you with sobriety, hope and help are available. The well trained and professional staff at DetoxPlus are ready right now to answer your questions and to start the process.